There’s No Turning Back From the Digital World, But Don’t Lose Sight of Customer Service! 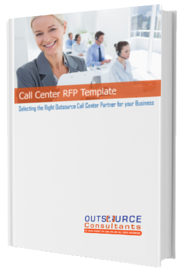 Looking to Reduce Call Center Agent Stress? Be in Their Corner! Did Your Retail Call Center Live Up to Your Expectations This Holiday Season? Why Has Customer-Centric Thinking Become a Challenge For Companies? Does Elon Musk Need A Call Center In Space? 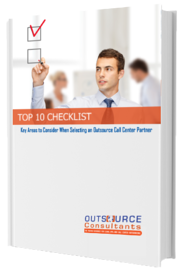 Concerned About Your Call Center Outsourcing Partnership? You Need A Checkup! Can Call Centers Can Evoke Positive Emotional Responses From Customers? Inbound Call Centers vs Online Communities: The Benefits of Utilizing Both! Can Artificial Intelligence Provide Real Value In The Customer Experience? Are You Hiring CSRs Or Alligator Wranglers? Is Your Company Ready For The Webroomers? 5 Contact Center Stats and Trends For 2017 And Beyond! Volunteering at Feed My Starving Children! Have you ever considered outsourcing with a correctional facility call center? Will Robots Completely Replace Call Center Agents? NO! A Threefold Approach to Empathy Training – Sheri Kendall-Dupont and Mikey Corral, JR.
Do You Have Intelligent Live Web Chat? What's the Point of the Call Center? Do Your Agents Know the Value of Customer Service? Contact Centers or Social Teams: Who Owns Social Customer Service? What's Next for Live Chat? Will Your Customer Service Grab Headlines?